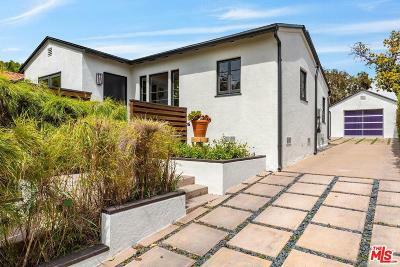 California Bungalow located in Weho's hottest area the "Norma Triangle" Steps away from Soho House, The Rainbow Room, The Troubadour, Craig's & Iconic Dan Tana's restaurant. Gated retreat w/ front deck for entertaining, new bathrooms & kitchen, 4 car parking, Huge backyard w/ Jacuzzi & plenty of room for full size pool, lush landscaping & interiors done by celebrity designer. Great opportunity to expand sq. footage if desired. Offers due by 4/22.